Satin Ribbon Rose Shoe Clips. Livin up your shoes with these pretty shoe clips, no need for new shoes just add clips! Match your shoes to any outfit! 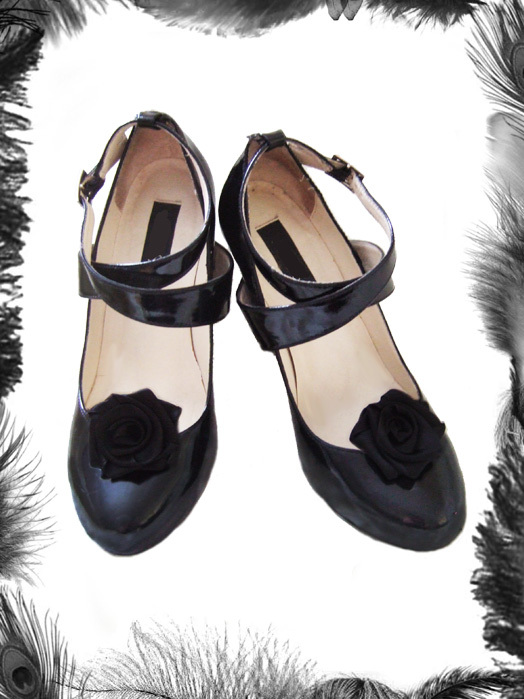 Roses clip onto shoes with a strong metal clip. Available in Black, Red, Purple, White, ivory, baby pink - other colours sourced on request.